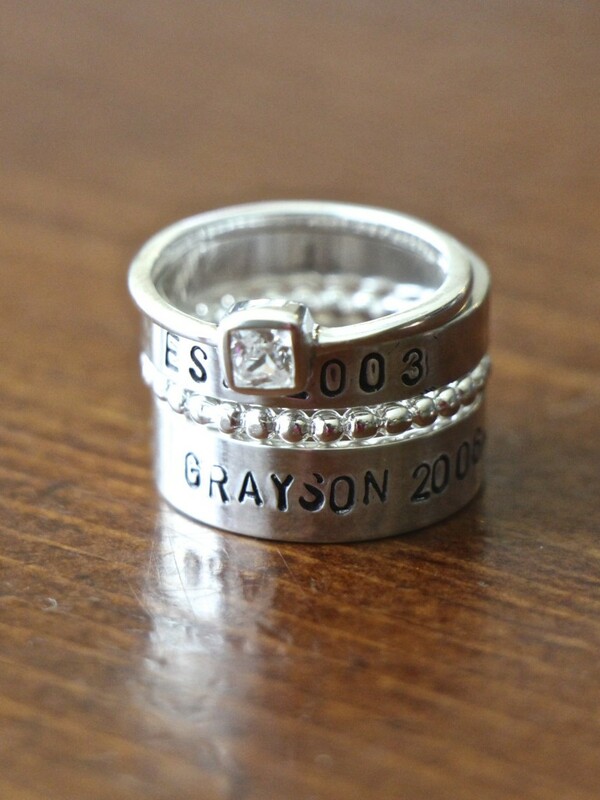 Personalized wedding anniversary ring customized with a heartfelt message, wedding date and names or initials. I will always love you. You will forever be my always. 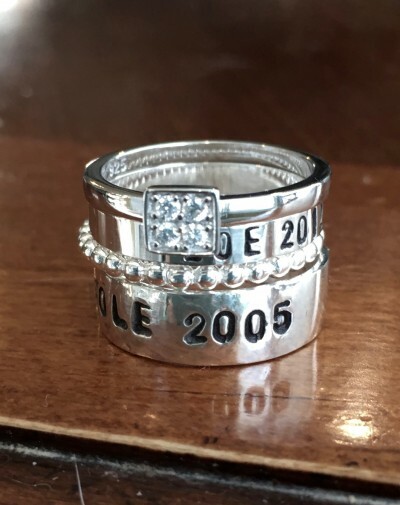 Sterling silver- hand stamped- stacking ring set – four rings. 4mm personalized band allows 15 characters. 6mm personalized band allows 30 characters. (including spaces). Sizes: 5, 6, 7, 8, 9, 10. Categories: Anniversary, Best Sellers, Couples Jewelry, Gifts, new, Stackable Rings, Wedding/Engagement Gifts. Tags: Personalized anniversary ring, Personalized wedding ring.